The end of a marriage can creep up on you. Some people don’t even realize what went wrong until the marriage is already over. “Love and trust are vital components to the foundation of a solid marriage that endures. But love and trust alone are not enough. When times get tough, and life being what it is, having skills to listen effectively (to yourself and your spouse), manage intense negative emotions well, and communicate in non-blaming or defensive ways, are the tools to navigate life’s tougher challenges,” says relationship expert Adrienne Levy, LMFT. Relationship experts, and therapists who specialize in helping marriages stay strong, have compiled a list of reasons why marriages end. Recognizing the things that go wrong in a marriage will help everyone in the long run. Being aware of the top reasons that marriages end is the best way to make sure they don’t. Many people think that once you get married, there’s no more need to sit down and talk about your relationship. This is false, and one of the main reasons that marriages end. Being able to sit down and discuss your relationship is vital, especially in marriage. “… my one piece of advice is to keep communication open. In particular, be willing to validate your partner’s experience, listen, compromise, and attempt to foster empathy with your partner,” says couple’s therapist Dr. Rae Mazzei. Being married is making a long-term commitment to your partner. You want to make sure that the channels of communication are open. Marriage doesn’t mean that the relationship is always going to work flawlessly. Communicate about your relationship in order to keep your marriage healthy and happy. Having relationships and friendships outside of your marriage is key to keeping your marriage strong and healthy. You need to be able to have a support system that isn’t just your spouse. This means that you have to have friends, or strong relationships with your family members. Marriage therapists have pointed out that if your only strong friendship or relationship is your spouse, then your marriage might be in trouble. Having a support network and being able to take the stress of your partner is vital to a healthy and long-lasting marriage. When you get married to someone too quickly, you may not know that person inside and out yet. Marriage is supposed to be a time where you really learn about the person that you’re spending the rest of your life with. Sometimes, you find out that you don’t share the same kind of values and morals. “Partners should be especially sure that their values match before getting into marriage. Although other differences can be accommodated and tolerated, a difference in values is particularly problematic if the goal is long-lasting love,” says associate professor of psychology Kelly Campbell, Ph.D. Marriage therapists explain that having a difference in values can be something big that ends a marriage. 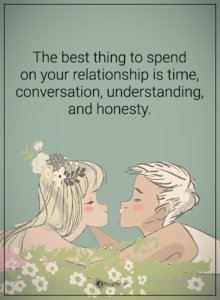 The key is being able to talk those differences out, respect them, and compromise on things in your new life together. While there are certainly things that we often prefer to keep to ourselves, secret keeping is a bad habit to have when you’re in a marriage. You don’t have to tell your spouse every thought that comes into your head, but consciously keeping secrets from them can quickly lead down a disastrous road. Marriage therapists don’t recommend keeping secrets from your spouse, no matter how big or small. Honesty is always the best policy, and one that will nurture a healthy and long-lasting marriage. When you get married, after a while, the little things can start to get pushed away. You have kids, you have a mortgage, you have things that need to get done. Day in and day out, the “big things” start to take precedence over the “little things”. Marriages can end because people forget to compliment their spouse every day or thank them for the little things, like bringing them a cup of tea, or tidying up the living room. “When people feel recognized as special and appreciated, they’re happier in that relationship and more motivated to make the relationship better and stronger,” says Terri Orbuch, Ph.D., author and professor at Oakland University. Marriage should be built on a foundation. Forgetting all of the little things can make a marriage crumble. It’s important to always make time to nurture parts of the relationship that may be getting neglected. Compromise is truly key in marriages. Sometimes, things can’t always go our way. However, if you dig your heels in and refuse to compromise, there can be consequences. Namely, it can start to kill your marriage. Marriage therapists see couples all the time that have trouble compromising, which can cause rifts in the relationship. Being flexible and having the ability to sacrifice a little bit for your partner is key to a long and happy marriage. Marriages end for all kinds of reasons. But, there are ways to turn it back around. 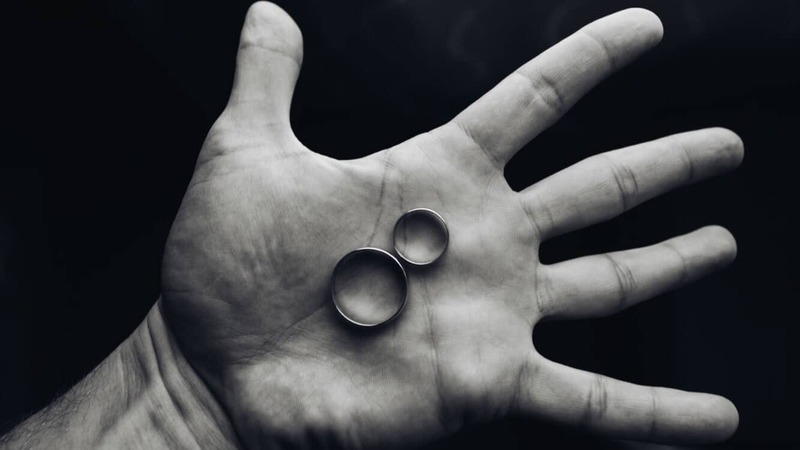 Even if there’s something in your marriage that isn’t working, marriage therapists know that with enough devotion and patience, those problems can be fixed. Being open to learning and changing your behavior in a marriage will help you stay in love and keep your marriage long-lasting.